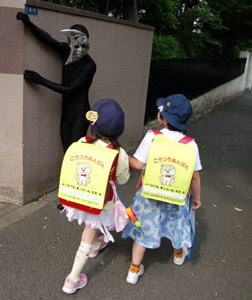 He is seen here, chasing small children??? What in the Japan world is this? LOL, I think it is meant to be funny, but we are still searching for what this is!